Once upon a time, I hosted the first version of my website on a small no-name virtual private server (VPS). Later on, with the movement towards GitHub pages, I migrated my website there. As a part-time security researcher, I greatly value the necessity of HTTPS support, but GitHub pages never managed to add HTTPS for custom domains. Fortunately, the newly emerged competitor GitLab satisfied all my requirements other than the downside of having to manually obtain a certificate and copy paste it there. 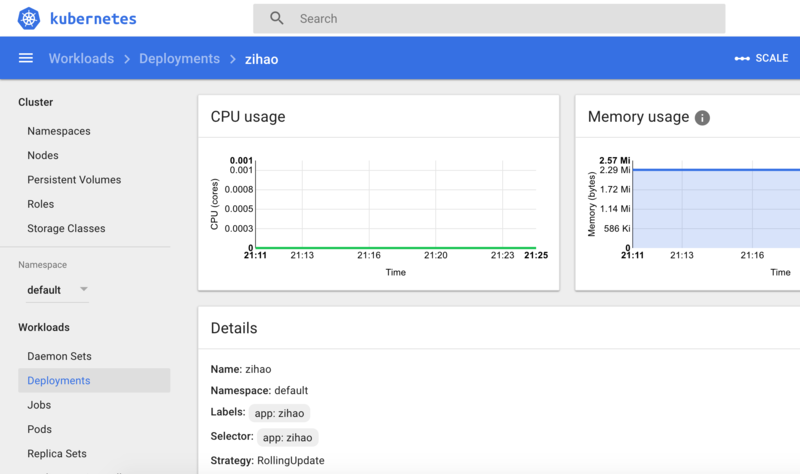 My current Kubernetes + cloud storage solution brings the benefit of scalability and availability with cloud infrastructure at a very low cost. All client requests are load balanced through the Kubernetes ingress controller. 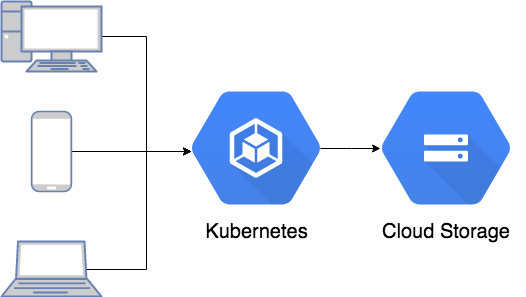 The traffic will then go through nginx containers which proxy the data from Google Cloud Storage. 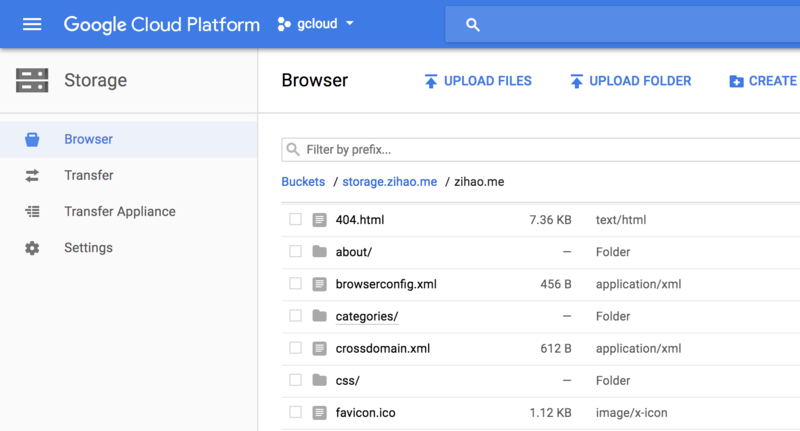 In my example the main bucket that stores everything is call “storage.zihao.me” and my static files are uplaoded to the “zihao.me” folder under the bucket. No other additional settings are required, we just need to remember the exact path of our static files. With Nginx proxy ready, we also need to set up the corresponding kubernetes deployment. We can simply used the official lightweight Nginx docker image at nginx:alpine. In the container configuration, we load the config file from GitHub and then fire up the nginx server. The Kubernetes service and ingress settings is very straightforward. I listed some selected parts of the configurations here.